When I get older, I want to resemble celeriac. I want to have a beautiful interior and a shell that is well used. It’s funny how the ugliest root vegetable harbors such beauty in its versatility and taste. Celeriac can be boiled, baked, steamed, roasted, transformed into a delicious salad or a creamy yet light soup. 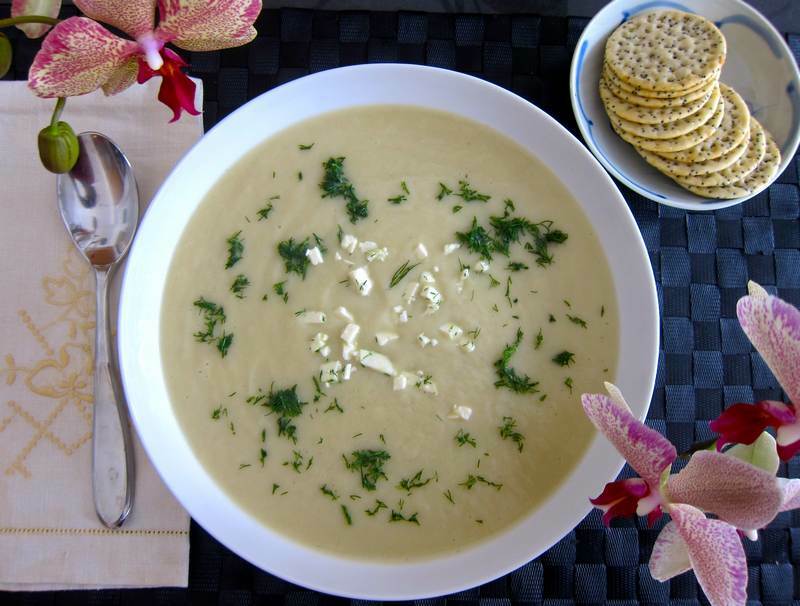 Rev up your blenders and ease the spring chill with a bowl full of smooth Celeriac Soup. In a large pot, heat olive oil over medium heat and sauté onion and garlic for 2 minutes, stirring. Add celery and cook covered over medium heat for 3 minutes. Add stock and celeriac, bring to a boil, then simmer for 15 minutes. Purée until creamy smooth and adjust seasoning. Garnish with feta and dill. Serves 6-8. Perhaps you are wondering about the orchids gracing the bowl of Celeriac Soup? They belong to a single plant that bloomed after a long hiatus. Here’s to patience and the good things that come to those who wait. Here’s some interesting information about celeriac. Thanks Liz! I guess you go for subtle. I’m thinking – Where’s all the brash colour? Have never tried cooking with celeriac root. Will have to try it since this soup looks delicious. 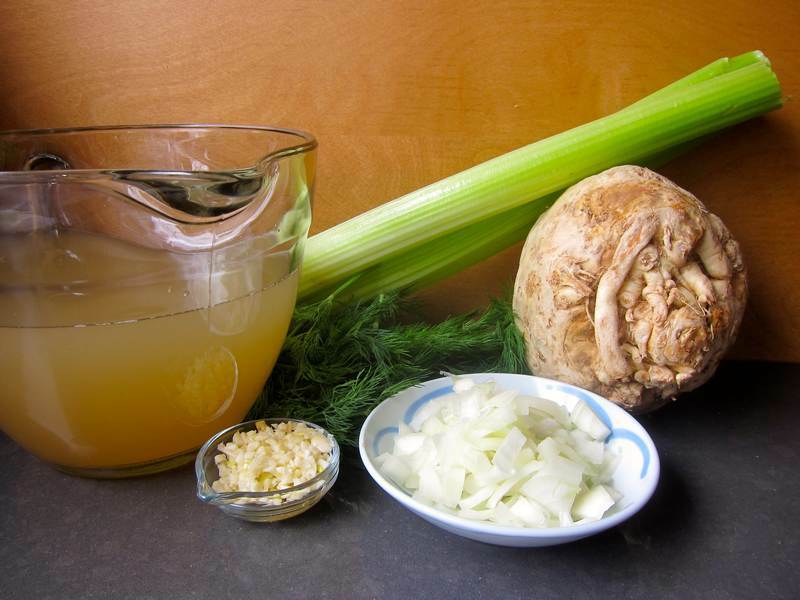 It’s also nice that the celeriac is the main ingredient, so you really get to know it’s flavour.